Gator Point Magnum Force Storm – Owner: Richard Trotter – Passed Seasoned Sunday – This was for his Hunting Retriever Title! Note: These dogs, unless noted, handler is Jeff Chesnut or Justin Jackson. In a few cases, I have listed dogs that went home, their owners continued to work with us, and they have successfully competed in tests. Looking for results at hunt test's top levels at down to earth prices? Look no further! SHR Lyle's Case of Hot Buys – Owner / Handler: Trey Wells – HR passes. Congratulations Trey! GRHRCH GMHR UH Oz's Yellow Fever of Washita MH – Passed 4 Upland tests. This gives Cali her Upland Hunter title as well as surpassing 500 points! Congratulations to Cali, the most titled hunt test dog in the history of hunt tests! We've enjoyed every minute of it together! The picture below is of Cali and Jeff after their last hunt of the 2007-2008 duck season. We apologize for missed results for the remainder of 2007. We got behind and never got caught up. HRCH Washita's One Hot Tamale SH – Passed Master – This complete's Tommy's Master Hunter title! HR Washita's Yellow Fever Too – Owner: Lewis Chesnut – Passed Finished both days – Saturday's pass completes Jenny's HRCH title! HRCH WR Washita's Big Jake MH – Passed – This completes Jake's Grand Title!!! HR Shari and Rob's Cody Brien – Owner: JT Rogers – Passed Finished on Saturday – This complete's Cody's HRCH title! Washita's Hot Tamale Too – Owner: Marshal Hart – Passed Seasoned on Saturday – This complete's Tommy 2's HR title! Chargin' Charlie – Owner: Chris Powers – Passed Started both days – This complete's Charlie's SHR title! Circle Seven Pheasant Radar – Owner: Sam Wyrick – Passed Started both days – This complete's Radar's SHR title! Washita's Me and My Shadow – Owner: Dr. Steve O'Marro – Passed Seasoned on Sunday – This complete's Shadow's HR title! HR Doc's Ciara Mist of Washita SH – Owner: Dr. Cade Coppenbarger – Passed Finished both days – This complete's Ciara's HRCH title! SHR Cochise's Adorable Abigail JH – Owner: Jesus Garcia – Passes Seasoned both days – This complete's Abby's HR title! Shari and Rob's Cody Brein – Owner JT Rogers – Passed Seasoned both days – This complete's Cody's HR title! SHR Washita's Gunz N Roses JH – Owner: William Whitener – Passes Seasoned Saturday – This complete's Rosie's HR title! Washita's Stick 'Em Up Duck – Passed Seasoned on Sunday – This completes Bandit's HR title! Monty – Owner: Rick Hughes – Passed Started both days – This complete's Monty's SHR title! HRCH Washita's Bring 'Em Back Boomer SH – Owner: Brian Dunlevy - Passed both Master tests – This complete's Boomer's Master Hunter Title! SHR Jack's Drake of Mallard Creek – Owner: Matt Underwood – Passed Seasoned Saturday and Finished Sunday – Drake's Saturday pass was for his HR Title! HRCH Sir William Chocat Grizzley JH – Owner: William Whitener – Passed Senior both days – This complete's Willie's Senior Title! SHR Cochise's Adorable Abigail – Owner: Jesus and Yolanda Garcia – Passed Junior both days – This complete's Abby's Junior Title! Rockerin Bearach Dapper Dan – Owners: Miranda and Jack McKown – Passed Junior both days – This completes Dapper's Junior Title! HRCH Washita's One Hot Tamale – Passed Senior – This complete's the points required for Tommy's Senior Hunter Title! Buck's Lucky Gunner – Owner: K.R. Buck – Passed Junior both days - This complete's the points required for Gunner's Junior Hunter Title! SHR Washita's Gunz N Roses – Owner / Handler: William Whitener – Passed Junior on Saturday - This complete's the points required for Rosie's Junior Hunter Title! HR Go West Lil Spice O' Jive – Owner: Bart Hege – Passed Finished both days – This complete's the points required for Chili's HRCH Title! HRCH WR Washita's Big Jake MH – Passed Finished Saturday – This complete's Jake's 500th point! Washita's Cheyenne Sunrise – Passed Seasoned on Saturday – This complete's the points required for Cheyenne's Hunting Retriever Title. HR Sir William Chocat Grizzley JH – Owner: William Whitener – Passed Finished both days - This complete's the points required for Willie's HRCH Title! HR Drake's Banded Lacy JH – Owner: Dr. Keefe Carbone – Passed Finished on Saturday - This complete's the points required for Lacy's HRCH Title! 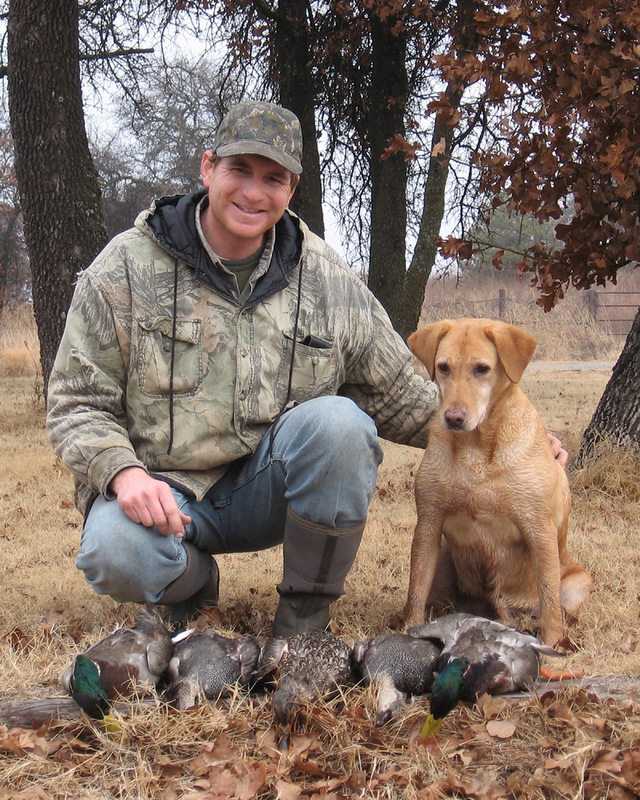 Doc's Ciara Mist of Washita – Owner: Dr. Cade Coppenbarger, Handlers: Lewis Chesnut and Dr. Cade Coppenbarger – Passed Seasoned both days - This complete's the points required for Ciara's Hunting Retriever Title. Washita's Yellow Fever Too – Owner / Handler: Lewis Chesnut – Passed Seasoned on Saturday - This complete's the points required for Jenny's Hunting Retriever Title. Cochise's Adorable Abigail – Owner: Jesus and Yolanda Garcia – Passed Started both days – This completes the points required for Abby's Started Title! SHR Cochise's Delightful Dory JH – Owners: Louie and Claudia Garcia – Passsed Seasoned both days – This complete's the points required for Dory's Hunting Retriever Title. SHR Washita's Gunz N Roses – Owner / Handler: William Whitener – Passed Started both days – This complete's the points required for Rosie's Started Hunting Retriever Title! HR Hail's Washita Two Dot Girl – Owner: Amy Hail – Passed Finished on Saturday. This complete's the points required for Dottie's Hunting Retriever Champion Title. SHR Legacy Mandigo J-Four Blaze – Owner: JoAnn Parman – Passed Seasoned both days – This completes the points required for Blaze's HR title! Congratulations JoAnn. HR Washita's Chargin' Charlie – Owner/Handler Lewis Chesnut – Passed Finished both days – This completes the points required for Char's HRCH Title! Congratulations Dad and new owner – Charles Braden. SHR Sir William Chocat Grizzley – Owner William Whitener – Passed Seasoned both days – This completes the points required for Willie's HR Title! Congratulations William. Klassic Scout Cowan – Owner Chris Cowan – Passed Seasoned both days – This completes the points required for Scout's HR Title! Congratulations Cowan family. Bull – Owner Jackie Hill – Passed Started both days – This completes the points required for Bull's SHR Title! Congratulations Hill family. Cochise's Delightful Dory – Owner Louie Garcia - Passed Started both days – This completes the points required for Dory's SHR Title! Congratulations Louie. Jack's Drake of Mallard Creek – Owner Matt Underwood – Passed Started both days - This completes the points required for Drake's SHR title! Congratulations Matt. HRCH Washitas Bring 'Em Back Boomer SH – Owner/Handler Brian Dunlevy – Passed Master. Great job Brian! HR Go West Like A Rocket – Owner: Don Ritter – Passed Finished on Saturday – This completes the points required for Raider's HRCH title! Congratulations Don!! HR Washita's One Hot Tamale – Owner: Jeff Chesnut – Passed Finished on Sunday - This completes the points required for Tommy's HRCH title! GMHR HR Oz’s Yellow Fever of Washita MH – Owner: Jeff Chesnut – Passed Finished on Saturday and Sunday – This completes Cali’s HRCH title! HR Washita’s Runnin’ Bear SH – Owner: Lewis and Jeff Chesnut, Handler: Lewis Chesnut – Passed Finished both days – Saturday’s pass completes Bear’s HRCH title! Princess Anna Kelby Bijou JH – Owner: Chris Ludwell – Passed Seasoned both Saturday and Sunday – This completes Kelby’s HR title! SHR Washita’s Ready Aim Fire SH – Owner: Jeff Chesnut – Passed Seasoned both Saturday and Sunday – This completes Fire’s HR title! SHR Jake’s Wild Child – Owner: Dr. Angelo Luckett – Passed Seasoned both Saturday and Sunday – This completes Jakey’s HR title! HRCH WR Washita’s Big Jake SH – Owner: Brent Raisley and Jeff Chesnut – Passed Master – This completes Jake’s Master Hunter title! HRCH Washita’s Bring ‘Em Back boomer JH – Owner: Brian Dunlevy – Passed Senior – This completes Boomer’s Senior Hunter title! Monty’s Apricot Brandy – Owner: Monty Roberts – Passed Started on Saturday – This completes Brandy’s SHR title! GMHR WR Oz’s Yellow Fever of Washita MH – Owner: Jeff Chesnut – Passed Finished on Sunday (Only entered on Sunday) – This completes the points required for Cali’s HR title! Bailey Bug Durand JH – Owner: Charles Durand – Passed Seasoned both Saturday and Sunday – This completes Bailey’s HR Title! Big Joe’s Irish Rosie – Owner: E.J. Morringelli – Passed Seasoned on Saturday – This completes Rosie’s HR Title! Washita’s Runnin’ Bear SH – Owner: Lewis and Jeff Chesnut, Handler: Lewis Chesnut – Passed Seasoned both Saturday and Sunday – This completes Bear’s HR title! Jake’s Wild Child – Owner: Dr. Angelo Luckett – Passed Started both Saturday and Sunday – This completes Jakey’s SHR title! HR Washita’s Bring ‘Em Back Boomer JH – Owner and Handler: Brian Dunlevy – Passed Finished Saturday and Sunday – This completes Boomer’s HRCH Title! Congratulations Brian!! SHR Washita’s Ready Aim Fire – Owner: Jeff Chesnut – Passed Senior – This completes Fire’s Senior Hunter Title! Washita’s Runnin’ Bear – Owner: Jeff Chesnut – Handler: Lewis Chesnut – This completes Bear’s Senior Hunter Title! Princess Anna Kelby Bijou – Owner: Chris Ludwell – Passed Junior on Saturday and Sunday – Saturday’s pass completes Kelby’s Junior Hunter Title! Bailey Bug Durand – Owner: Charles Durand – Passed Junior Saturday and Sunday – Sunday’s pass completes Bailey’s Junior Hunter Title! HRCH Riverwalk’s Gunner Boy SH – Owner: John Clayton – Passed Master - This completes Gunner’s Master Hunter title! Congratulations to Gunner and the entire Clayton family! Honorable Mention to SHR Washita’s Bring’Em Back Boomer JH – Owner: Brian Dunlevy – At only 16 months, Boomer was one of 5 dogs that actually was able to complete the test. Boomer has a great hunt test future ahead of him! Junior: Ms Kitty's One Chance Pearl - Owner: Sam Hill - Passed Junior. This completes Pearl’s Junior Hunter Title! Master: 37 dogs entered in the test. 20 dogs were called back for the second series. 8 dogs were called back for the final series. 7 dogs passed the test. Master: 31 dogs started the test. 23 dogs were called back for the second series. 15 dogs were called back for the final series. 5 dogs passed the test. HRCH WR Washita's Big Jake SH and HRCH Riverwalk's Gunner Boy SH both ran exceptional tests and deserve some hard earned credit making it to the final series. Both dogs showed great perserverence and improvement on difficult concepts in a test where the judging standard was maintained at a very high level. Congratulations on a "fail"? Sometimes it's in order. GMHR Oz's Yellow Fever of Washita MH (Cali) - Owner: Jeff Chesnut - Passed Master. Senior: 22 dogs were entered in the test. 10 dogs were called back for the second series. 4 dogs passed the test. Congratulations to: HR Lottago's Highbrass Buckshot JH (Buck) - Owner: Nick Morris - Passed Senior. This completes Buck's Senior Hunter Title! We're very proud of Buck for his performance this weekend. The statistics say it all! Washita Retrievers had no Junior dogs entered on either day, but I found the statistics interesting. 14 out of 39 passed on Saturday, and while I'm not sure how many passed on Sunday, 15 out of 39 got called back to the second series. When I left Lincoln after half of those dogs had run, there had been at least 3 dogs fail the second series. Again, congratulations to all four "Washita" dogs that ran the test this weekend in Lincoln. Each and every one of them showed remarkable talent and ability. Gustos Jazzy Seven Up (Jazzy) - Owner: Rodney Angel - Passed Junior on Saturday. This completes Jazzy's Junior Hunter Title! SHR Washitas Bring Em Back Boomer - Owner: Brian Dunlevy - Passed Junior on Saturday. This completes Boomer's Junior Hunter Title! Oklahoma Cherokee Rose (Rosie) - Owner: Steve Lafollette - This completes Rosie’s Started Hunting Retriever Title! HR WR Washita's Big Jake SH (Jake) - Owner: Jeff Chesnut and Brent Raisley - This completes Jake’s Hunting Retriever Champion Title! Adidas Miss Grace (Pearl) - Curley Coated Retriever - Owner: Mark Prentice - This completes Pearl's Started Hunting Retriever Title! MHR WR Riptide Jubilee (Jubal) - Owner: Jeff Chesnut - Handler: Brian Dunlevy - This completes Jubal's Hunting Retriever Title. Thanks, Brian, for bringing Jubal out of retirement and enriching his life! HR Riverwalk's Gunner Boy SH (Gunner) - Owner: John Clayton (and Steven - Take a look at this link)- This completes Gunner's Hunting Retriever Champion Title! Congratulations to John Clayton, Steven, and Gunner. WR Washita Pete (Pete) - Owner: Jeff Chesnut - Handler: Lewis Chesnut - This completes the points required for Pete's Hunting Retriever Title! Washitas Shootn Shell Tucker (Tucker) - Owner: Nick Morris - This completes Tucker's Started Hunting Retriever Title! GMHR HR Keno Creek's KC and S Bullet MH - Owner: Jeff Chesnut - This completes Bullet's Hunting Retriever Champion Title! That means Bullet has obtained the top title in each of the three main hunt test organizations. Congratulations Bullet! Riverwalk's Gunner Boy SH (Gunner) - Owner: John Clayton - This completes Gunner's Hunting Retriever Title! GMHR WR Keno Creek's KC and S Bullet MH (Bullet) - Owner: Jeff Chesnut - This completes the points required for Bullet's Hunting Retriever title! WR Washita's Big Jake SH (Jake) - Owner: Jeff Chesnut and Brent Raisley - This completes the points required for Jake's Hunting Retriever title! Barnone Otter Colton's Duke (Duke) - Owner: Colton Hill - This completes Duke's Started Hunting Retriever Title! Washita's Ready Aim Fire (Fire) - Owner: Jeff Chesnut - This completes Fire's Started Hunting Retriever Title! Lottago's Highbrass Buckshot JH (Buck) - Owner: Nick Morris - This completes Buck's Hunting Retriever Title! Check back at this location for pictures coming soon! Washita's Bring Em Back Boomer (Boomer) - Owner: Brian Dunlevy - Handler: Brian Dunlevy -This completes Boomer's Started Hunting Retriever Title!